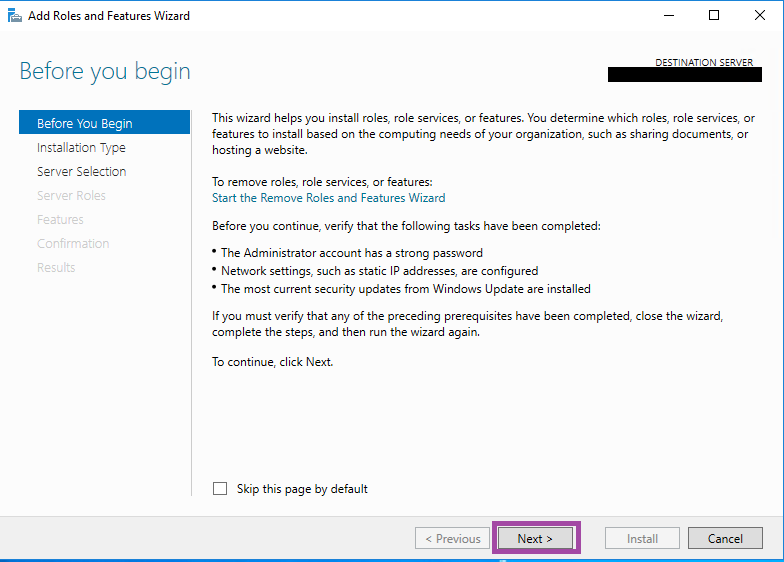 In this article, I will show you how to back up your active directory database, but first you will need to install the Windows Backup feature for Server 2016, which is covered by this blog. 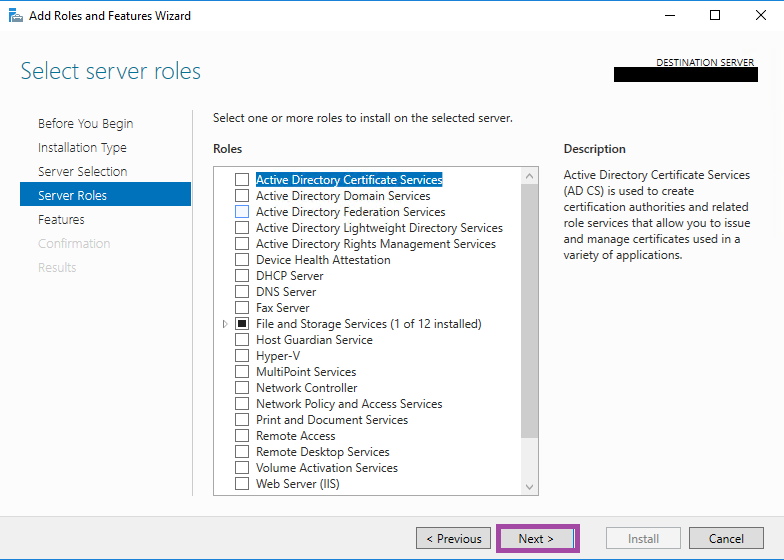 The Active Directory Services (AD DS) or directly Active Directory (AD) is the repository of management and information. You can manage and have information of every type of information about users, computers, services. As an IT professional, safeguarding data is a very important aspect of your job and helps you earn trust with your company’s employees and management. One of the best ways to help ensure that you can keep your data safe is to perform regular backups. The good news is that the Windows operating system has this feature available for free. The better news is how easy it is to use. 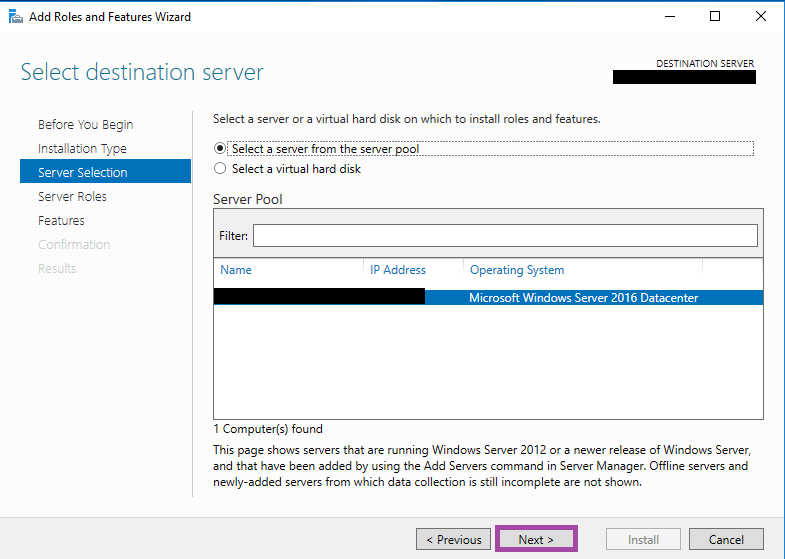 This installation can be done in one of two methods, either using PowerShell and Server Manager. 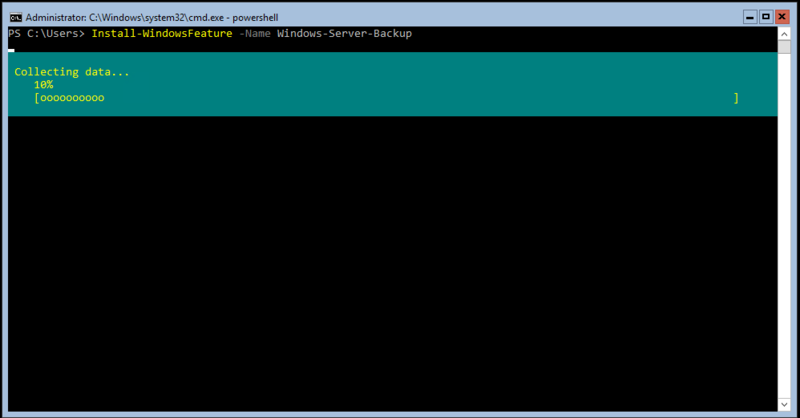 Note: Windows Server Backup is a feature and not a role. 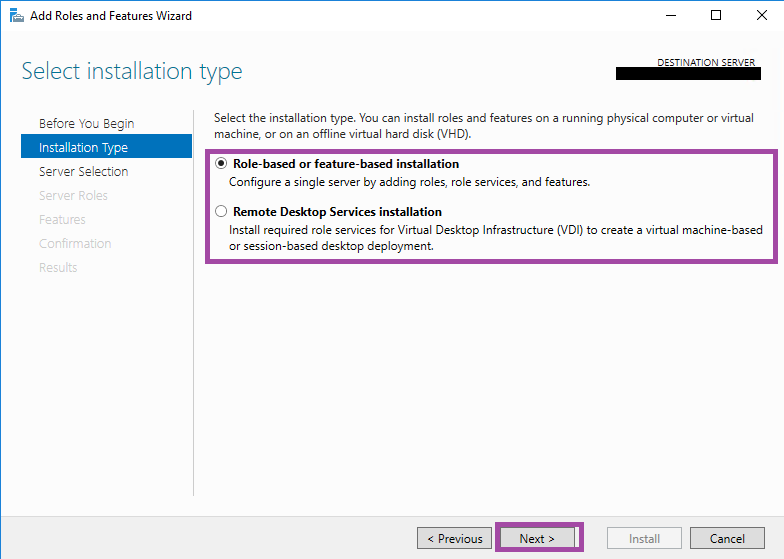 Once you run this command, you can see the Install State, if it says available; it means Windows Server backup feature is available for the installation. Now, to install this, run the command given below. Note: It will provide a progress bar. 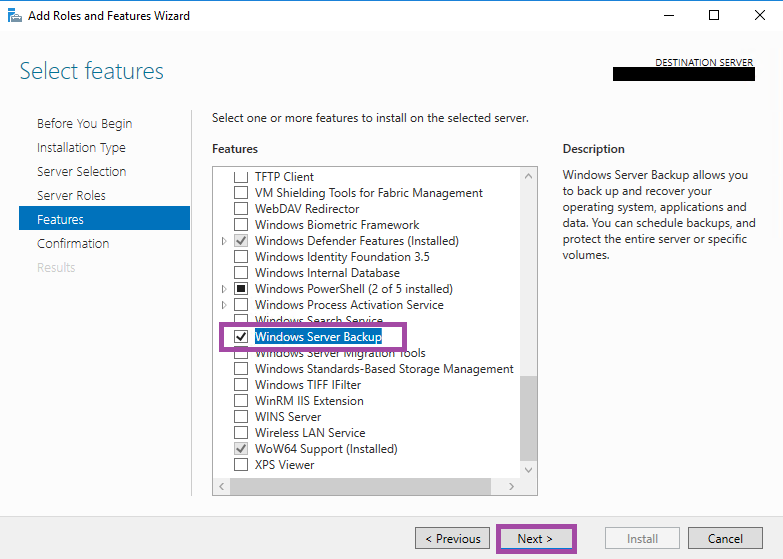 This will install Windows Server Backup feature on your Windows Server 2016. Once it has been installed, you can run the Get-WindowsFeature command again to verify, if it’s Install State. As you can see above, it says “Installed”. This is just the other way of installing Windows Server Backup feature. 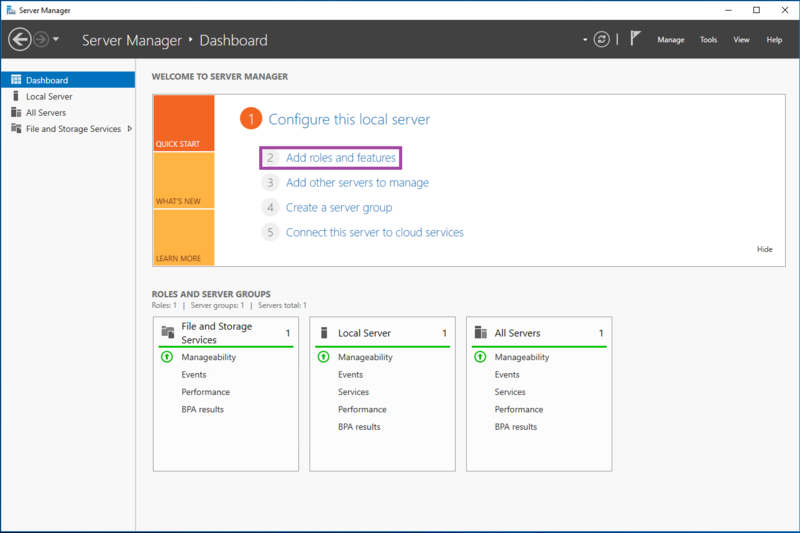 If you like to do it, using Server Manager; you just need to follow the steps given below. Go to Server Manger —> Click Add roles and features. Before you begin pops up and provides some additional informaiton that maybe helpful. Select Installation Type —> Click Next. Select the Server —> Click Next. Skip the Server Roles —> Click Next. 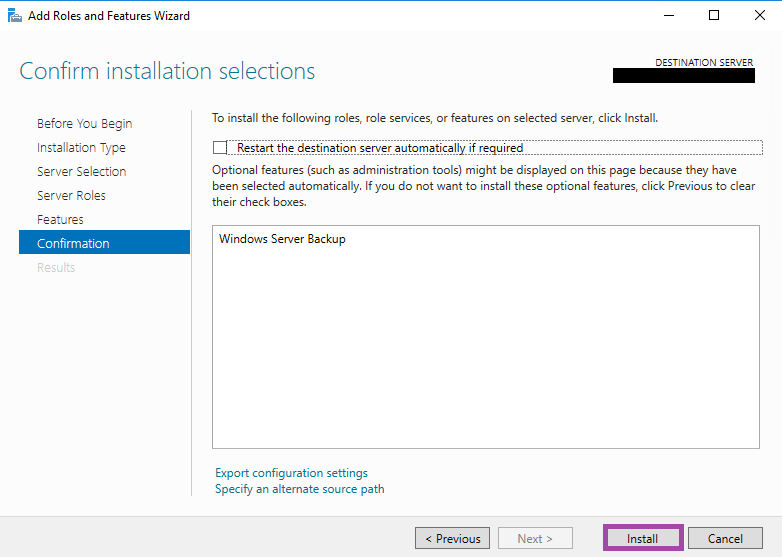 Select Windows Server Backup —> Click Next. Click Install for it to begin. 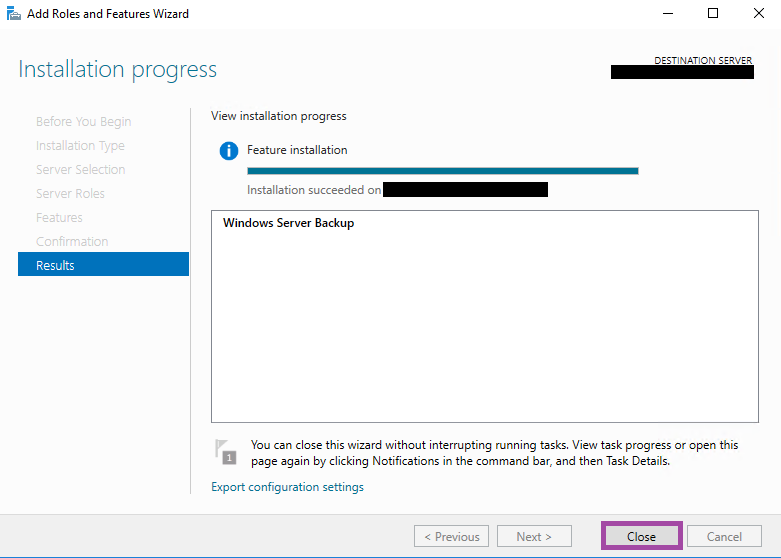 The installation process begins and it will install Windows Server Backup feature in your Windows Server 2016. When it is complete, click close. 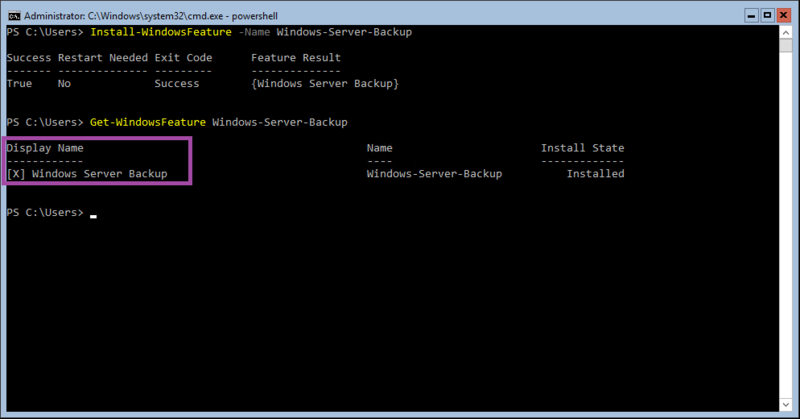 In my next article, I will show you how to conﬁgure Windows Server Backup to protect your Activce Directory database.